When security on site is an issue, our range of secure containers provide a reassuring solution. 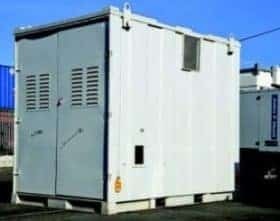 Containers are always fitted with a canopied generator which is unique to John F Hunt Power. We DO NOT fit open sets which create more noise & pose a threat to the safety of operators & technicians alike. 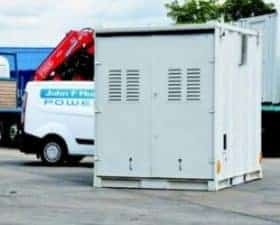 Available in sizes from 20 kVA up to 100 kVA, our units feature a bunded 1800 or 2000 litre internal fuel tank. Please note: These units are unbranded there being no indication of what lies within. 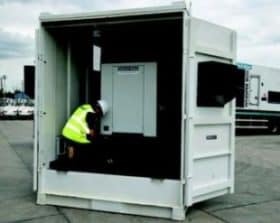 Secure unbranded containers, housing super silenced generators from 20 kVA to 100 kVA.